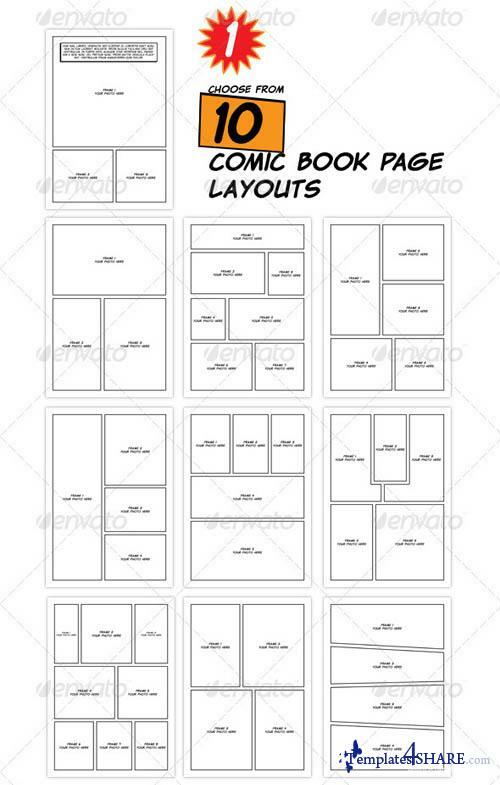 Choose from 10 comic book page layout templates. 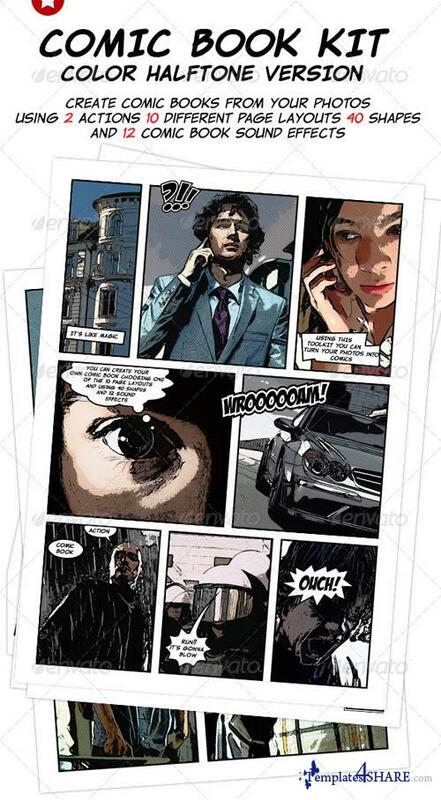 Place your own photos inside smart objects and run the action to turn them into comics. Choose from 40 shapes of bubbles and banners and type your text inside them. 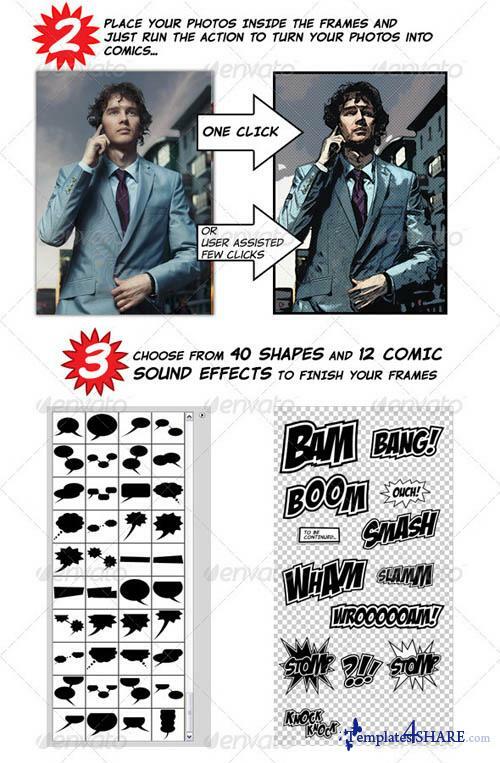 Then choose from 12 comic book sound effects and enrich your comic book pages.